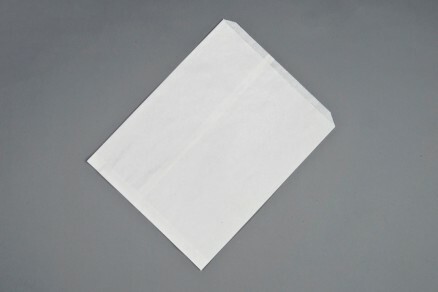 White Pizza Bags, 19 x 2 x 24"
White Printed Paper Pizza Bags, Quattro Design, 19 x 2 x 24"
White Pizza Bags, 16 x 2 x 20"
White Pizza Bags, 14 x 1 x 17"
White Pizza Bags, 10 x 1 x 12"
White Pizza Bags, 12 x 15"
White Printed Paper Pizza Bags, Quattro Design, 16 x 2 x 20"
White Printed Paper Pizza Bags, Quattro Design, 14 x 1 x 17"
White Printed Paper Pizza Bags, Quattro Design, 10 x 1 x 12"
White Printed Paper Pizza Bags, Trattoria Design, 16 x 2 x 20"
White Printed Paper Pizza Bags, Quattro Design, 12 x 15"
White Printed Paper Pizza Bags, Trattoria Design, 14 x 1 x 17"
Who doesn’t love a good pizza pie? One that’s fresh from the oven, piled high with melted cheese, rich sauce and so many toppings that you’re unsure whether to eat with your hands or use a knife and fork. 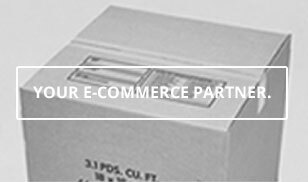 We’re big fans of the stuff, and since you’re here we know you and your customers are, too. 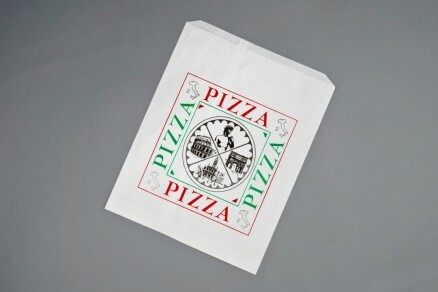 There aren’t too many experiences like having pizzas delivered to your table (or your door) in high-quality paper pizza bags. Not only do they keep pies warmer a little longer, they help keep hot grease off a customer’s (or deliveryman’s) hands just a bit longer too. Plus, onlookers will know exactly what’s inside that crinkly packaging, and soon they’ll be lining up for a slice of their own. 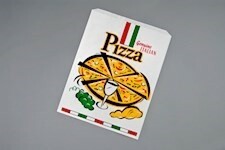 Speaking of slices, pizza bags are perfect for the customer looking for a quick and delicious fix. While they’re walking down the street, gleefully eating away, or dashing to a nearby bench (or office desk), the bag will keep toppings warm a little longer, delaying the dreaded congealing factor. We’re a fan of multi-cheese blends and lots of meat, so keeping toppings hot and intact earns a pizza joint some huge points. What toppings are your favorites, or what sells the most at your place? If you say vegetables, we promise we won’t judge. It’s hard for a pizza to have toppings that aren’t a winning combo, don’t you agree? There’s really no way to ever speak ill of pizza. It’s just too delicious to ever turn down. Just like pizza bags are such a smart and eye-catching addition to your packaging efforts. There’s no way you and you customers won’t enjoy the crisp, clean and hand-saving features. Some bags are grease-resistant, giving your customers peace of mind when it comes to the hot running grease of a multi-cheese pie. Though, we feel it’ll be completely eaten long before errant grease becomes a problem. 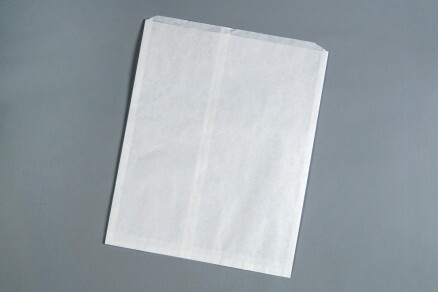 Do right by your perfect pies by sourcing your paper pizza bags here at The Packaging Company.